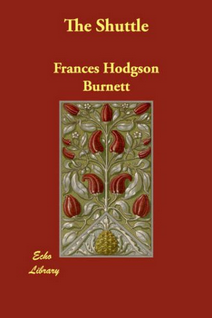 If there was ever a period drama adaptation waiting to happen, it is this book by 'Secret Garden' author, Frances Hodgson Burnett. It has everything you would want in a period drama: the fiery female heroine, the brooding hero, the despicable villain and the benevolent father. Indeed, this novel is a mixture of all the best parts of my favourite novels: the undying sisterly love of 'Pride and Prejudice', the palpable, simmering violence of 'Wuthering Heights', and the impossible love of 'Jane Eyre'. So, why had I never heard of this book before? Published in 1907, this text has been forgotten, just like the garden in the author's more well-known tome. Indeed there are moments in this novel when it feels as if we have returned to the secret garden, as adults, and are allowed to step amongst the ruins of a wonderfully, dilapidated landscape that is crying out for a make over. Into this air-less, lost landscape, comes the beautiful Bettina Vanderpoel, a wealthy American heiress, who is searching for her older sister Roaslie, who a dozen years before married Sir Nigel Anstruthers. He is a tyrannous English aristocrat who only wed Rosalie for the great wealth that she would bring to his English estate. Of course he was a cad and ruthlessly crushed and brutalised her spirit, leaving her a mere shadow of her former self. He spent her money and left her to rot in his decaying mansion, with only their young, ailing, son for company. Bettina is like a magical princess whose beauty awakens the tired and sleeping land and with her energy brings it and it's lethargic inhabitants back to life. She rescues her sister and begins to salvage what is left of her crumbling home. The results are breath-taking. 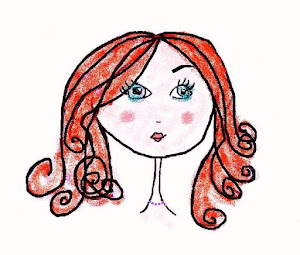 She uses her endless supply of money to employ the local tradesmen and modernise and rejuvenate wherever she goes. Not only do we find a garden that needs a make-over, but there is an entire English village and its inmates that have been completely neglected, along with its local artistocracy,Lord Mount Dunstan and Lady Anstruthers, who are veritible Miss Havishams, creeking and web-draped in their various forgotten mansions, decaying and stagnant in a gothic nightmare-reality. Miss Vanderpoel is a wonderfully strong female character, clever and entertaining and full of sense. Considering that the novel was written when women had not yet won the right to vote, she seems to be way ahead of her time. This comment is a case in point: 'Eve has always struck me as being the kind of woman who, if she lived today, would run up stupid bills at her dressmakers and be afraid to tell her husband'. The novel is full of such witty observations and as such reminds me a little of Austen at times.. But while Bettina seems to have everything that money can buy, she cannot have the one thing she wants - the love of Mount Dunstan, the owner of the adjoining estate. Like Elizabeth Bennent, she begins to fall in love with this dark-red-haired, brooding man, as soon as she sees his enormous house and grounds: 'It was beautiful. As she walked on she saw it rolled into the woods and deeps filled with bracken;... she caught the gleam of a lake with swans sailing slowly upon it with curved necks; there were wonderful lights and wonderful shadows, and brooding stillness, which made her footfall upon the road a too material thing...'. She longs to bring the sleeping medieval manor-house back to life, but Dunstan is a proud man and does not believe in marrying for money. If he is to save his land, he is to do it by himself. Yet, he is not immune to the allure of Miss Bettina Vanderpoel. We are told, 'On his part, he... found himself newly moved by the dower nature had bestowed on her. Had the world ever held before a woman creature so much longed for?' So, a conundrum. Running alongside this deliciously understated love affair, is the battle of wills between Bettina and her evil brother-in-law, Sir Nigel Anstruthers. The two are evenly matched but on the opposite spectrum of good and evil. And he is evil,a fiend of the worst order. The unfolding power-play makes for excellent drama and produces a novel that you will not be able to put down. The last 50 pages flashed by at break-neck pace; leading to a thrilling ending that did not disappoint. As someone who spent many years to-ing and fro-ing between America and England, Hodgson Burnett excellently captures the differences between the two nations, focusing on the good and bad of each. Ultimately, she seems to be suggesting that, where there is love, there is everything to be gained by the alliance of the wealth from the new world, and the beauty and culture of the old one. There is no denying how fresh, new money, and new blood, can only benefit the English aristocracy and their beleaguered estates, but inevitably, there is more than just money involved: the energy of the New World is what is also lacking in old England, and ultimately the idea of 'working for a living' is a necessity for everyone regardless of class. The characters in this book would not have been out of place in a Hardy novel and many of my favourite scenes took place within the tiny parlours of the village houses, where little kindnesses engendered so much warmth and humanity. Mr Doby with his adoring dewy eyes and his clay pipe, being my very favourite. I ask again, why has this book, all 500 hundred pages of it, been so forgotten by the masses? Is it simply because of the poor title? Where is its sumptuous BBC dramatisation? I call on scriptwriter, Andrew Davies and television producer Sue Birtwistle to get their skates on... you might just get this in the can in time for next Christmas, if you start on it right away. I look forward to seeing it. In the meantime - make sure you get a copy (it's free on Kindle due to lapsed copywright) and start reading right away. If you have ever read any of Kate Morton's books and enjoyed them, well this reads like the original archetype. I think she must be a huge fan of Hodgson Burnett, so similar are the writing styles. It is 'The Secret Garden', for grown-ups, with a hint of gothic-thriller thrown in. I see Liv Tyler as Bettina and Benedict Cumberbatch as Mount Dunstan...? It is going to happen any day now. One doesn't mind waiting when such delights lie in store. Marvelous review! I was thinking the same thing as I read your first paragraph - "why have I never heard of this book?" Glad to know I'm not alone in missing it and thanks for introducing it to me! "Where is its sumptuous BBC dramatisation? I call on scriptwriter, Andrew Davies and television producer Sue Birtwistle to get their skates on... you might just get this in the can in time for next Christmas, if you start on it right away." I'll start writing letters! The tragedy of FHB's legacy is that her kids books have remained so popular that everyone's forgotten about the adult ones. I've got T. Tembaron on my e-reader and I'm super-excited. This is a great review! I agree completely with your idea of a BBC drama and the casting. This is a great review! I agree completely with your idea of a BBC period drama, and your casting suggestion!